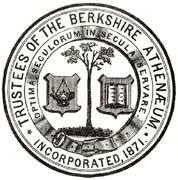 February 20th, 2016, The Pittsfield Public Library - Berkshire Athenaeum will host their fifth Mini Golf event, sponsored by Berkshire Gas. The interior of the Athenaeum will again transform into a great mini golf course! Eighteen holes of mini golf will traverse all three levels of the library. Conveniently planned for school vacation week, this makes for a day of affordable family fun. phone (413) 499-9480 Ext 100.